The highlights of the past week or so have included a group of up to five great white egrets remaining at Tower Hide, with two seeming very settled there. The egrets are happily fishing alongside up to 15 grey herons and five little egrets. The other big sighting of the week was a beautiful honey buzzard on Wednesday 25 July, this long tailed sleek looking buzzard flew over the pumphouse track and then returned to the woodland once again, this is a very rare breeder in the UK and this individual was likely to be on its way back south towards Africa. Swallowtail butterflies have also been seen in the past couple of days, perhaps indicating the start of a second brood? The dry conditions have created a very nice looking scrape in front of Tower Hide and the birds have responded well to it. Alongside the herons and egrets we have had migrant waders dropping in for a feed to break up their migration. All we have seen up to eight common sandpipers, four green sandpipers, one snipe and ten ruff all together with water rails skirting the edges of the reedbed. 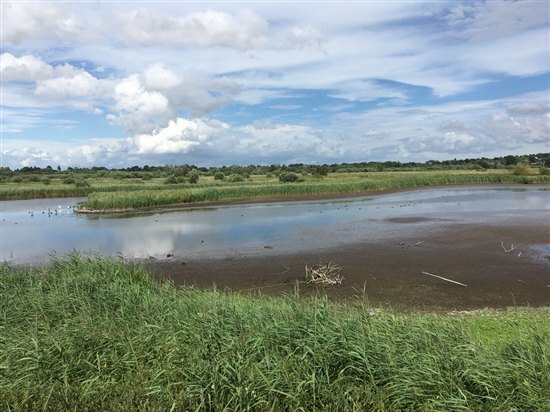 This kind of habitat is certainly worth keeping an eye on as some waders will drop out of the sky feed for five minutes and then carry on, look out for wood or curlew sandpipers, little stints or even something much rarer, even the common waders are great to see on the reserve. 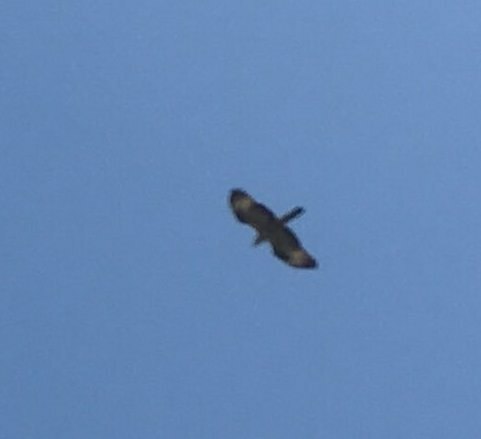 Kingfishers, bitterns and marsh harriers are all being seen from various points around the reserve, marsh harriers being by far the most reliable with plenty of juveniles still present. The harriers will disperse fairly soon and go exploring further afield, so we may notice them disappearing in the coming weeks, but will return to roost most evenings. Insects continue to enjoy the warmth with dragonflies, in particular migrant hawkers being everywhere! Silver washed fritillaries are still being seen on buddleias around the woods and behind the reception hide, swallowtails have been seen in the past few days too, also around the Reception Hide and Lackford Run. All trails are open and in good condition. We have added a few areas to the trails in recent weeks, partially to increase the number of self-led experiences for families, but the new areas also offer locations to sit and quietly enjoy wildlife away from the trails, particularly early mornings/weekdays and winter! 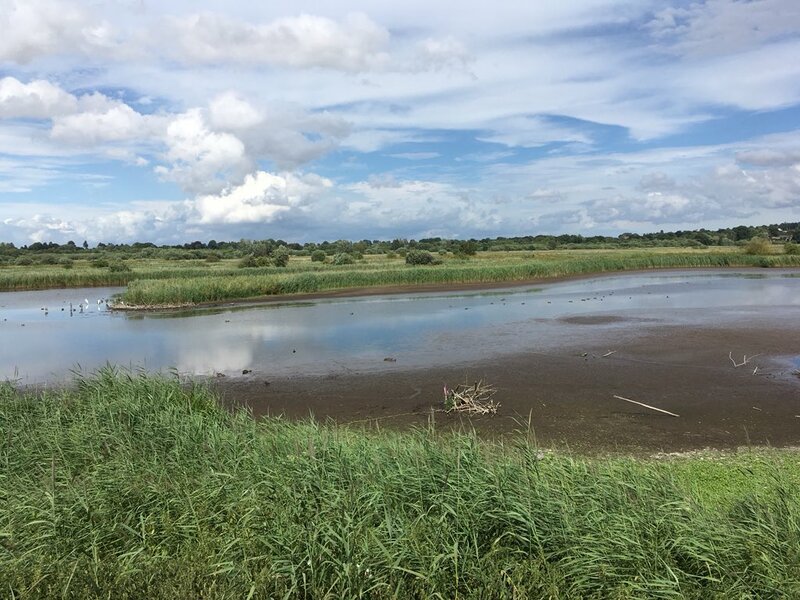 These areas have been funded externally by Networks For Nature (Heritage Lottery Fund) and Sport England and hopes to get children connected with nature and enjoying being in the outdoor environment. We are also working on a ramp to allow access to the meadows from Sandy Wall, giving more options when setting out for a walk and allowing access to the meadows even if one of the fields is being grazed. I would expect more of the same over the next week or so with waders passing through, swallows, swifts and martins migrating south, herons and egrets taking advantage of the low water levels and warblers to be seen moving quietly through the trees also heading south. While some people dislike the word autumn (especially in summer) as far as the birds are concerned autumn is well and truly here, the birds are migrating and the exciting period for birdwatchers is upon us once again!